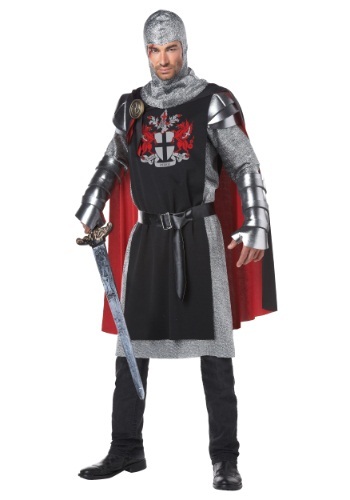 Men's Medieval Knight Costume By: California Costume Collection for the 2015 Costume season. Defend your lady's honor, or go on a crusade. Undertake a solemn quest to find the Holy Grail. Or just have fun pretending to do those things, when you wear this Men's Medieval Knight Costume. Pants are NOT included. If you're really brave, wear this costume with tights instead of pants. That's what men in the 12th century wore.